Instagram and eCommerce seem like they were made for each other. With over 800 million users, the image-based social platform has the scale and style to engage shoppers, build brand connections, and influence purchases. How often do you run into a photo of an influencer wearing a great outfit, think to yourself, “I want that,” and then spend the next 30 minutes fruitlessly searching for the look? If you’re like me: pretty often. Just recently, I saw the PERFECT pair of striped tulip-cut pants for a springy look. I knew the designer (they were tagged in the post), but it wasn’t until I was browsing the retailer’s site that I learned the pants were actually out of stock. What waste of time. Instagram and eCommerce social media influencers are nothing new. They get boxes full of product sent to them to model online to their followers, and with a single post, these influencers can make or break products. Brands like Gymshark heavily use sponsored influencers and athletes to drive sales. Every single new product launch has resulted in a complete sell out within a day, if not hours. Other brands, like Kylie Cosmetics, sell out within minutes of launch thanks to Kylie Jenner’s 107.3 million Instagram followers. Influencers work, but the platform itself can hold customers back from easily buying the looks they see on their favorite social stars. 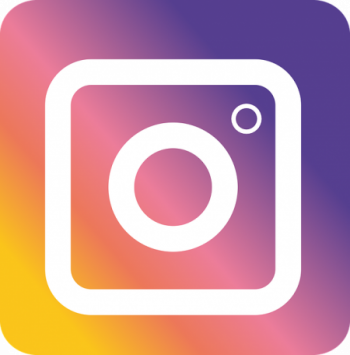 Instagram limits how links appear in captions: they are not clickable and the user is not able to copy and paste links into their browser. Unless the poster uses a service such as bit.ly or TinyURL, users rarely will visit the merchant’s site, frustrating merchants and shoppers alike. Luckily, Instagram is implementing new features to enhance its shopability. If you’ve been on Instagram lately, you may have noticed a new feature allowing users to purchase the exact outfit shown in the post. Simply tapping on the image will launch links – layered directly over the item of clothing – taking users to the exact page they need to be on in order to add the item to their shopping cart. Now, shoppers can buy the looks they love in literally 2 or 3 clicks, and merchants can finally begin converting Instagram users at much higher frequencies. Prior to this Instagram update, apps like LIKEtoKNOW.it provided similar services, connecting shoppers to sites via Instagram. Now that the platform itself can support shopping functionality, rendering third-party services obsolete. That being said, though, Instagram and eCommerce have grown extremely close, especially in the fashion and cosmetics industries. It will be interesting to see how other social networks (like Instagram’s parent, Facebook) bridge that gap and continue to optimize the social media shopping journey.